Sundays 8:35 am; Mondays 6:32 pm. Author and Baylor University professor Robert Darden tells stories -- and plays recordings -- from the Baylor University Libraries' Black Gospel Music Restoration Project in an on-going weekly series of two-minute segments. Shout! Black Gospel Music Moments explores the distinctly African-American sound of the "Golden Age of Gospel" (1945-1975). The series celebrates this fertile musical period in American history, presenting cultural snapshots that reveal the depth of a people, their community, and the influence they have had on the rest of American music. In this episode of Shout! host Robert Darden takes us to Birmingham, Alabama, where we hear the sounds of one of the area's greatest gospel quartets, Dorothy Love Coates and the Gospel Harmonettes. Most everybody admires Aretha Franklin, but who does the music icon look to for inspiration? In this episode of Shout! host Robert Darden talks about The Davis Sisters, a group who specialized in "hard gospel". Remember Doo-Wop? In this episode of Shout! host Robert Darden takes a look at jubilee, a gospel music styling that could be the root of Doo-Wop, the popular 1950s genre. On this episode of Shout! host Robert Darden talks about vinyl. Most every audiophile knows the two most common sizes were the seven-inch 35 rpm and the 12-inch 45 rpm. But there's another, lesser-know size: the 16 inch. How good is your pop music IQ? Did you know many notable R&B, Soul and Pop singers got their start in gospel music? "The Old Ship of Zion" is a favorite of Shout! host Bob Darden. In this episode Darden explores the history of this "haunting" version of an ancient spiritual. On this episode of Shout! Black Gospel Music Moments, Robert Darden looks at the intersection of gospel and politics. As early as the 1940s, some artists were placing political messages on the b-sides of their records. Shout! Black Gospel Music Moments: What are Spirituals? On this episode of Shout! 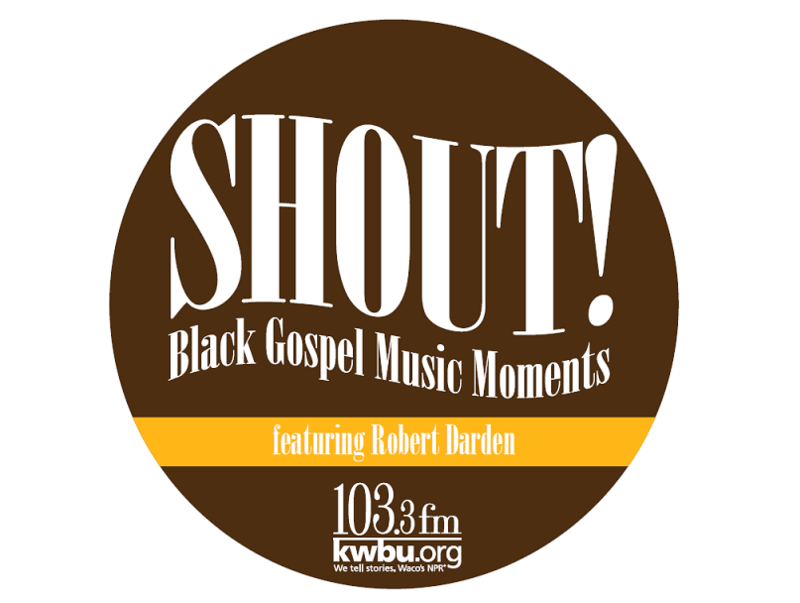 Black Gospel Music Moments, Robert Darden explores what spirituals could have sounded like. The technology to record these songs was nonexistent during the 1800s, but versions of the spirituals were sung in the 20th century. On this episode of Shout! Black Gospel Music Moments, Robert Darden explores the sounds of mass choir and the difficulties of recording these large groups. Shout! Black Gospel Music Moments: What is Gospel? In Shout! Black Gospel Music Moments, author and Baylor University professor Robert Darden tells stories -- and plays recordings -- from the Baylor University Libraries' Black Gospel Music Restoration Project. This series will explore the distinctly African-American sound of the "Golden Age of Gospel", providing cultural snapshots that reveal the depth of a people, their community, and the influence they have had on the rest of American music. In this first episode: what's gospel?